Introducing IMDbPro Track exclusively for IMDbPro members. 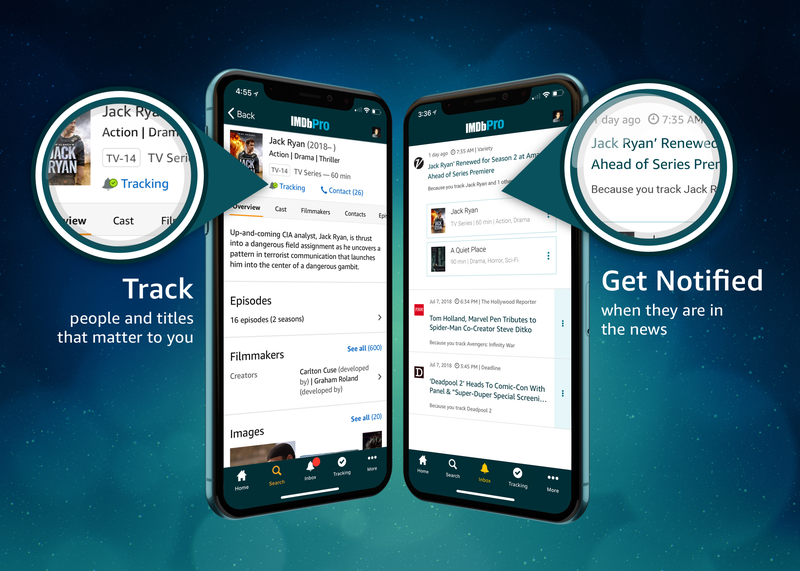 Track allows you to get notifications on IMDbPro when people or titles you track are in the news so you never miss an important update. Have questions about Track? Please visit the Track FAQ page for further details.